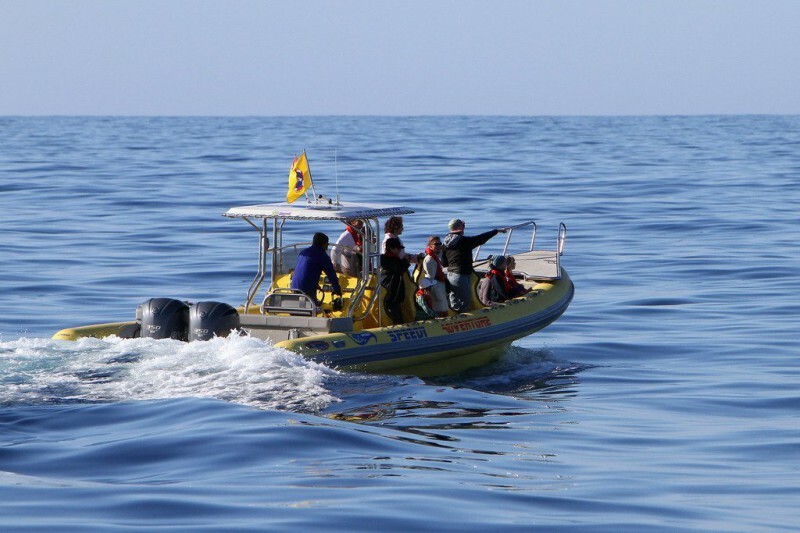 Onboard of the bright yellow, 12 meters long and almost 4 meters wide, Speedy boat you can experience a very intense whale watching tour. 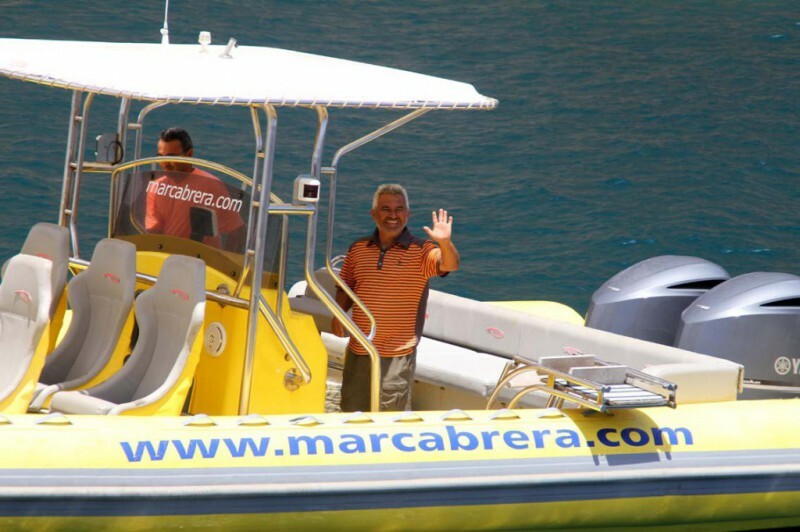 The boat has space for up to 12 people, making it particularly suitable for excursions in small groups. 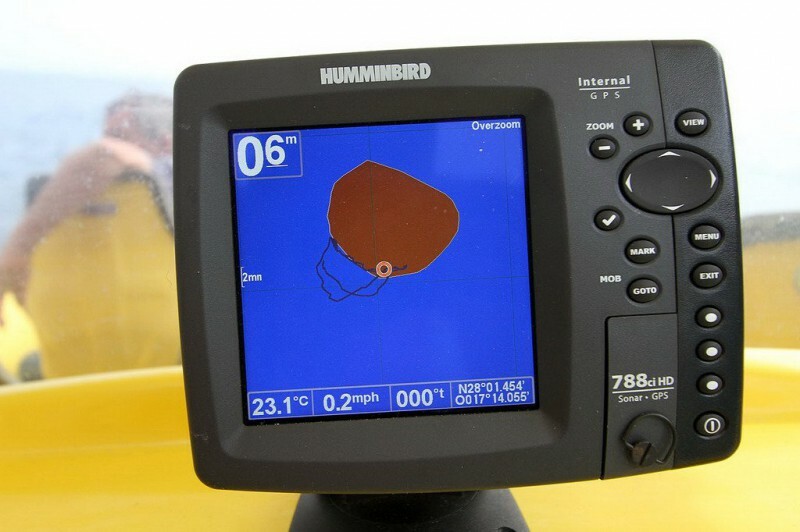 This fast and agile boat is equipped with the latest technology. The modern, extremely low-noise engines operate with optimum energy efficiency, whilst being environmental friendly. Due to these two powerful V8 engines, each equipped with 350 hp, the Speedy can move at a high speed. This reason and the absence of draught make this boat much more stable. If the Atlantic is a little rough, you can hardly feel the waves on board. Even the most sensitive of “landlubbers“ are comfortable on this boat. 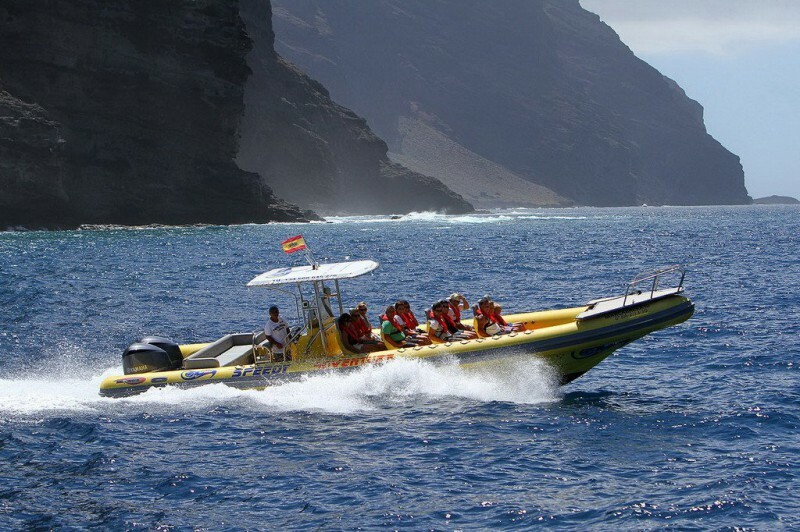 For people who get sea sick easily, the Speedy offers the opportunity to enjoy a quiet boat trip off the coast of La Gomera. 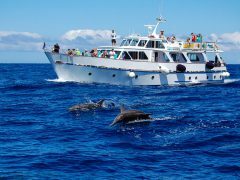 Since the speed boat is not very high, our guests aboard the Speedy find themselves at eye level with the marine mammals during our Whale Watching tours. A more intense encounter is hard to achieve. 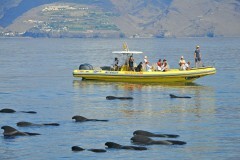 On our whale and dolphin watching tours sustainability is our priority. An indication of this is the official yellow flag awarded by the islands government to only those companies dedicated to sustainable tours. 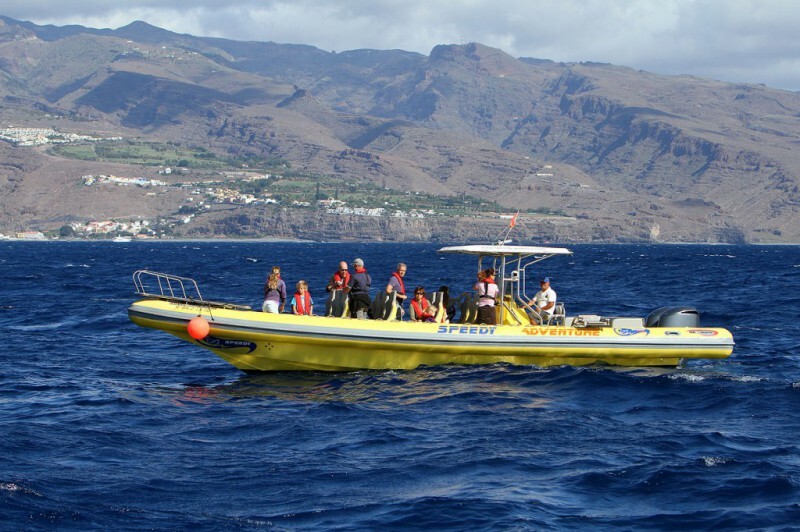 Thanks to its silent engines and the compliance with the prescribed minimum distances, we do not disturb the marine mammals of La Gomera. We therefore guarantee ecological valuable trips. Particularly for the trips to the north, to the natural monument “Los Organos”, the Speedy is ideal. Since the sea becomes noticeably rougher as you approach the north side of the island, the stability is again a huge benefit. 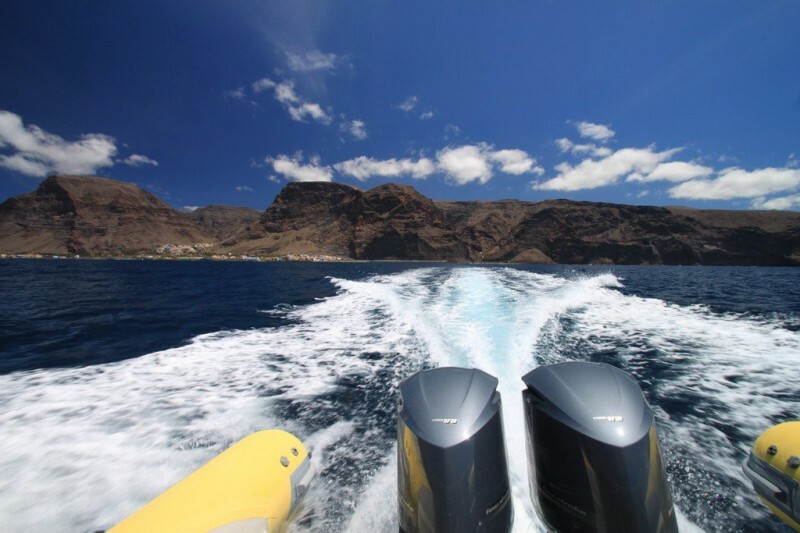 Where other boats would have to turn back halfway, the Speedy reaches the “organ pipes”, which can only be seen from out at sea, without any problems. In addition, the absence of draught allows the boat to get very close to these spectacular rocks. 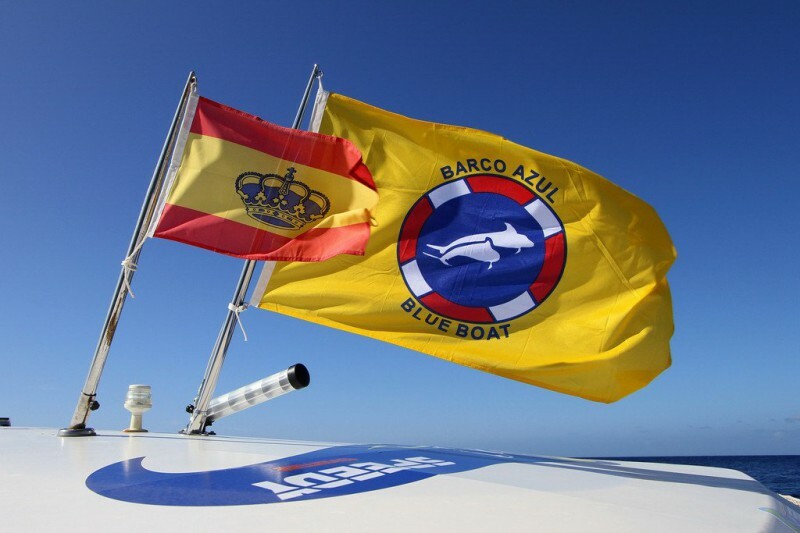 Speedy guests get a lot of information from our captain José Miguel. 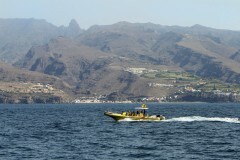 He knows the coast of La Gomera like the back of his hand, after all, he was born and raised here. 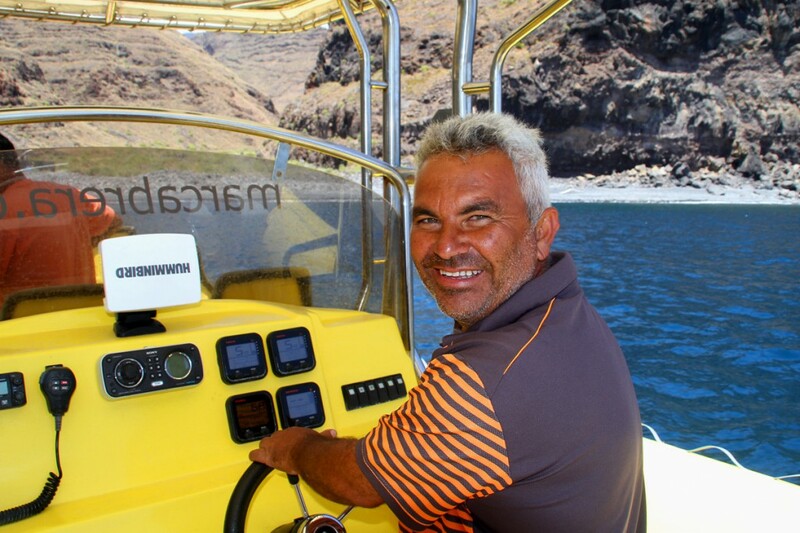 José Miguel is not only an experienced captain, but also a trained cetacean guide. Since 1996 he has been behind the steering oar and doing excursions. 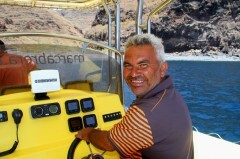 He started as a skipper of sister boat Excursiones-Tina, but since 2010 he has been the captain of Speedy. Not only has he a vast knowledge of the animals, but he also has this special way of “reading” the sea. Even at long range he manages to see if there is something out there, he knows which direction he needs to head to in order to enable our guests to observe the whales and dolphins. We offer daily tours departing from the port in Valle Gran Rey. 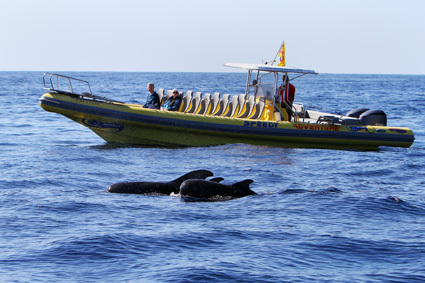 Our regular tours are trips for whale watching and Los Organos. 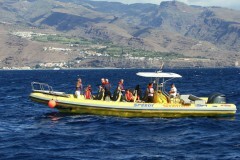 Depending on the weather conditions and demand we also offer trips around the island and sunset cruises. Private tours are also available on request. For more information about our tours, prices and special offers, please contact Angela and Antje, who you can find in our office in the port. They are also available throughout the day by telephone.